Auto-rickshaws for me, were cheap, convenient (though uncomfortable usually) means of transportation in any Indian city. Despite having to haggle, bargain and sometimes (most of the time?) pay extra, it has been a saviour for me on numerous occasions. OK, I used to love.. naa.. atleast like auto-rickshaws. But all that was before coming down here to Kochi. 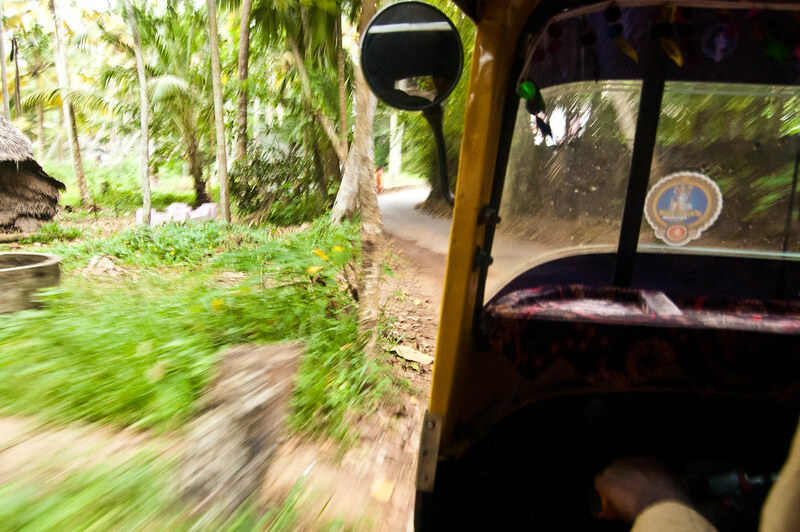 Catching an auto for a ride in Kochi, compares well to buying a ticket for a block-buster movie on its opening day. Its a major circus act. The supposed auto-stands here rarely have an auto on stand-by. And by chance if there is one parked, the usual conversation goes like this – “ചേട്ടാ, സൌത്ത് റെയില്‍വേ സ്റ്റേഷനില്‍ പോകുവോ?” (Brother, can you give me a ride to the railway station?). The guy gives you a blank stare as if I have abused his ancestors. No other response, so I ask again. He grunts rudely – ‘ഇല്ല!’ (No!). And that’s it. No reason. He just doesn’t want to go. I doubt if I have seen any city with auto drivers like this. Compare that to the multitude of drivers, jumping at you when you get out of Volvo in Bangalore. I hated paying exorbitant amounts there, but this is much much worse. Atleast you got home quicker! And then there is competition. No the participants are not the autos, but the poor wannabe passengers. 10 different people located at strategic spots on either side of the road, hoping to be the first to wave down an auto that’ll privilege them with a ride. I could almost spot a smirky grin on the lucky winner – ‘You losers!’. Oh then there is a thing, all autos here have electronic meters. But well, of the hundreds of rides I’ve already taken in this city, I haven’t yet had the privilege of seeing one of them turned on. Its just a fancy item attached to the vehicle, with no apparent purpose at all. I wonder how many rickshaw-wallahs here actually know how to operate one! Yes, I have had a few good experiences with auto drivers even in the small time I have been in the city. But the other side of the coin heavily outweighs those good deeds. Maybe they are actually doing me a favor without them knowing. Those long walks… definitely healthier. Ha! I win!